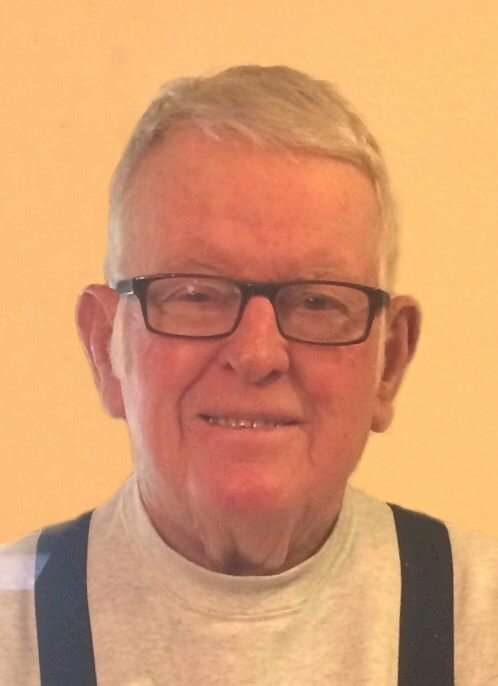 Obituary for Glenn E. Zeller | McCombs Funeral Home Inc.
Glenn E. Zeller, 85, of Jackson, passed away Wednesday, March 27, 2019, at Saint Francis Medical Center in Cape Girardeau. He was born August 16, 1933, in rural Jackson, to Edward and Olga Birk Zeller. He was baptized September 17, 1933 and confirmed March 30, 1947. He and Mary Martin were married November 27, 1954, in Jackson. Four children were born to their union, and they had been married nearly 62 years when Mary passed away October 3, 2015. Glenn was a 1951 graduate of Jackson High School. He worked many years as a salesman in food brokerage and was also a successful Beefmaster Cattleman. He was a member of Immanuel Lutheran Church in Tilsit for most of his life. Other memberships include the Missouri Cattlemen’s Association and Beefmaster Breeders United. He was an avid outdoorsman and also enjoyed hunting and fishing. Loving survivors include three children, Gregg (Tara) Zeller, Jenny Zeller, and Debbie (Jerry) McCullough, all of Jackson; three grandsons, Zach (Kelsey) McCullough, Andy and Matt Zeller; three step-grandchildren, Gina and Brian McCullough, and Mark (Dana) McCullough; four sisters, Shirley (Freeman) Sebastian, Marilyn Zeller, Judy (Tim) Westrich, and Brenda (John) Christensen, all of Cape Girardeau; three sisters-in-law, June Baugh Black (the late Robert), Margaret Ann (the late Leabert) Fields, and Babs (the late Jim) Martin, all of Jackson; and several nieces and nephews. He was preceded in death by his wife, Mary; an infant daughter, Elizabeth Zeller; and his parents. Visitation is from 1 to 5 p.m., Sunday, March 31, 2019, at McCombs Funeral Home and Cremation Center in Jackson, and from 10 a.m. to service time, Monday, April 1, 2019, at Immanuel Lutheran Church in Tilsit. The funeral service will be at 11 a.m., Monday, April 1, 2019, at Immanuel Lutheran Church in Tilsit, with the Rev. Mark Boettcher officiating. Interment will follow in the church cemetery. Memorials may take the form of contributions to St. Jude Children’s Research Hospital or Immanuel Lutheran Church (Tilsit).